I just bought the game this morning via Steam, and then I purchased your editor 10 mins afterwards. I nly want to give myself a really great trasfer budget. I have edited the game to give me 1 billion. But on the game its saying that I have no budget for new players. 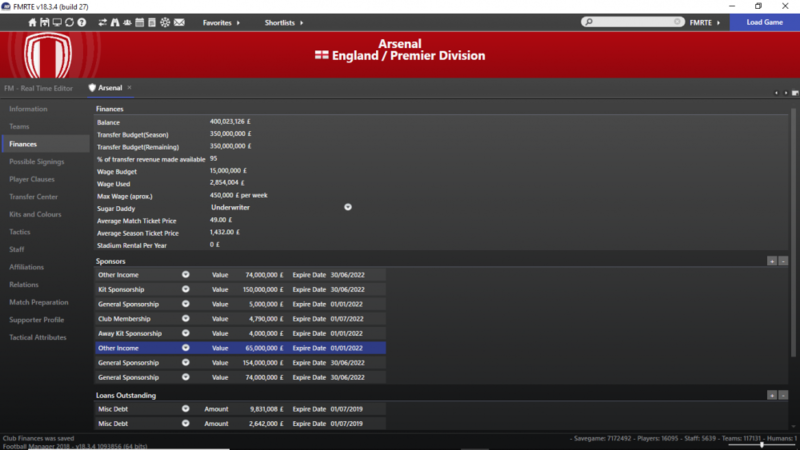 Can you please tell me what Im doing wrong, as I would like to rectify this before starting pre season. So I get the required players that I need for my team. Please read and follow the posting etiquette link in my signature. I have downloaded version 18.3.4 language version 15. No, Im not a beta tester, and Im not running the app as an administrator. Which I will try to do. I cant quite work out how to use the scrrenshot software that you advised. When you change something using FMRTE, you might need to advance a few days ingame, before your changes become visible. 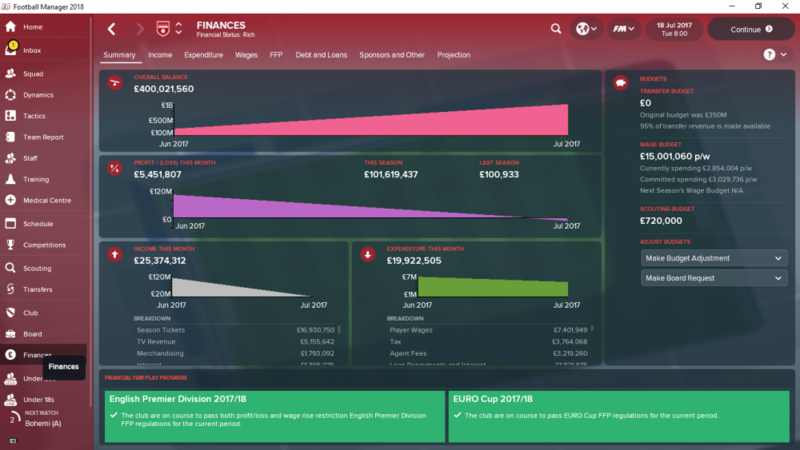 I have tried this, and it still hasnt added the revised budget into the game, and its now nt allowed to sign a player as its saying I have no transfer budget. Sorry to be a pain, as its never done this on previous versions of the editor. are you running the app now correctly?? 1 billion is most likely your issue. It is not recommended to exceed the boundaries set in the software. Lower that amount to 300m and then go from there. Yeap, Im running as adminsitistrator, and I have made the budget adjustments, and added sponsorship as suggested. But it still not working, and I have a budget of £0 and Im not able to change it. Is the allow first window transfers budgets ticked? This can be found in the game setup page.